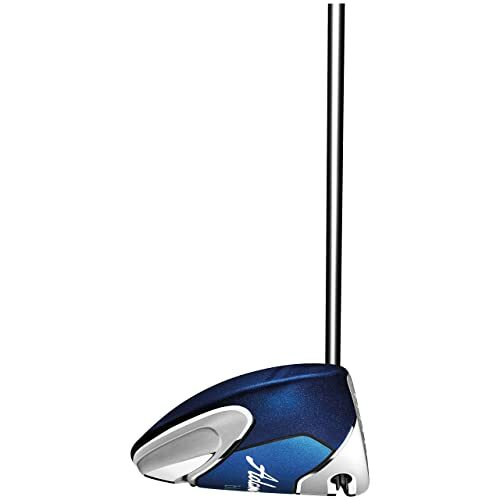 The Blue RH is an excellent driver from Adams Golf that players of different handicaps will love and enjoy using. It is very colorful, and it has some simple graphics that give it an aesthetic appeal. This beautiful club has an Easy Launch System that allows golfers to propel the ball into the air effortlessly, Velocity Slot Technology, SlimTech Shaft and Low/ Back Center of Gravity. 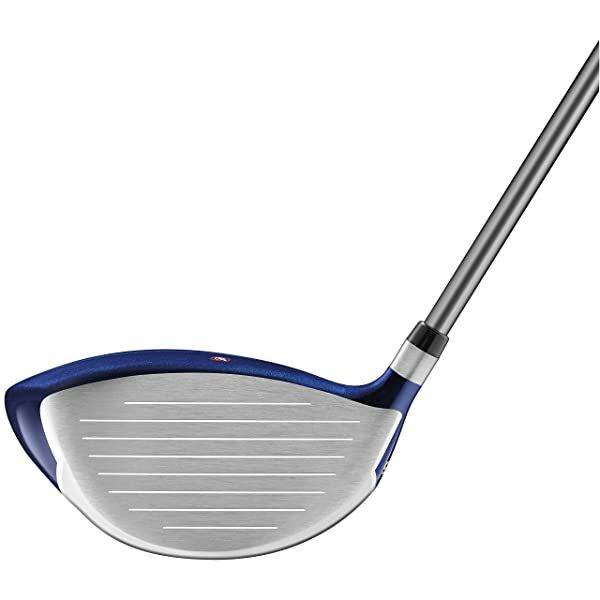 The Blue RH is an excellent driver from Adams Golf that players of different handicaps will love and enjoy using. It is very colorful, and it has some simple graphics that give it an aesthetic appeal. 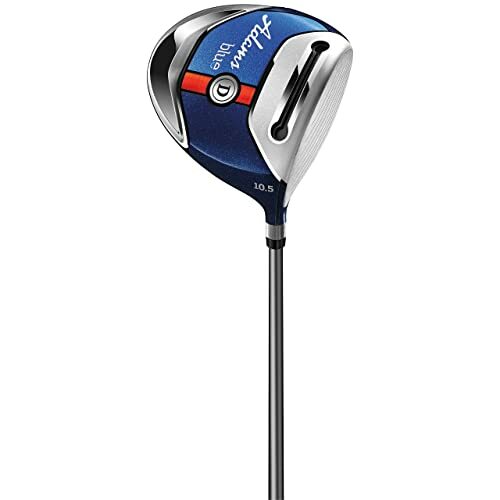 This beautiful club has an Easy Launch System that allows golfers to propel the ball into the air effortlessly, Velocity Slot Technology, SlimTech Shaft and Low/ Back Center of Gravity. When you buy the driver, you also get a head cover that will help keep it safe when transporting or storing it. Easy Launch System: The Easy Launch System on this drive consists of three different elements that work together to ensure that a golfer always gets a draw-biased flight and high launch. Velocity Slot Tech: This technology is one of the things that make drivers from Adams Golf some of the best on the market because it gives an impressive speed across a broad area of the face and extra face flex. Low/Back CG: The low and back center of gravity on this driver give it and fantastic spin and speed on different shots and hence improving playability. SlimTech Shaft: SlimTech Shaft not only gives the driver a unique appearance but it also plays a role in the Easy Launch as it allows for more kick. Shaft Flex: You get to choose from Stiff, Regular or Senior shaft flexes and there is also an option to select from three different loft options. It has a flexible and light shaft. The driver is easy to swing even for newbies, and it is also very forgiving. It has a very attractive appearance that will always boost a golfer’s confidence. You also get a beautiful head cover when you buy this driver. This amazing club ensures that you get long and straight shots. Affordable price and top notch quality mean you always get value for your money. It feels good and comfortable in your hands. The massive sweet spot ensures that you always get solid hits. Curving shots will be a problem for professional golfers using this club. It makes a funny ping when you hit the ball, and it will take some time to get used to it. The driver does not allow adjustments. The manufacturer logo on the club looks a little awkward. Lightweight is good, but it also makes consistent swings hard to achieve. Some customers complain of impacts feeling hollow. Findings the right driver can be challenging for golfers, and this is because each player seems to prefer something very specific. However, the design and style of the Blue RH from Adams Golf makes it ideal for all golfers regardless of their handicap. It is a colorful and very stylish golf club that will make every golfer that prefers a light feel happy. The massive sweet spot is very impressive, and you can locate it effortlessly. This driver has many other advantages, but the striking distance, forgiveness, and the incredible feel in your hands are what golfers seem to like most about it. But, achieving consistent swings is an issue for some golfers and others also complain about the high pitch sound that it makes. It is vital to have as much information about a driver before you buy it but the bottom line for this one is that it is worth trying out as it has everything that defines a good golf driver.